A few posts ago we had a poem from the early nineteenth century – Private Theatricals – by Winthrop Mackworth Praed. Theatricals are is still alive and well in Teignmouth even though last year saw the demise of the Carlton Theatre to be replaced on the Den by a brand new facility, The Pavilions, due to open early next year. In the mean time the Teignmouth Players have had to improvise and change venue. But the show goes on and here’s a poem that advertised the Christmas Panto 2014 in the local press. Oh no it isn’t, oh yes it is! When you can see a pantomime. With heroes, villains and soothsayers! Teign Community School is here. Until they all go home to slumber. This show is set to wow and thrill! To excite you like a panto should! To make life hard for our poor hero. But will his efforts come to zero? Will have them fighting ‘till it’s won! Takes form as Nora Tittletattle. Who’s sure to have her make-up laden! And laugh along with every gag! And shout out loud and cheer and boo! Be sure to leave a window clear! 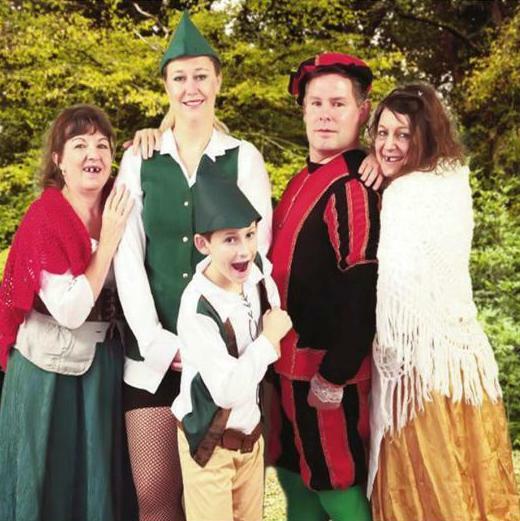 This entry was posted in Poetry and Art and tagged amy burton-smith, carlton theatre, jeff hocking, pantomime, poetry in Teignmouth, robin hood, teignmouth community school, teignmouth players, Teignmouth poetry on November 27, 2015 by pherecrates1. 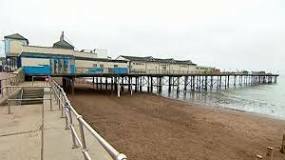 There have been a number of poems written about Teignmouth Pier, still one of the iconic and leading attractions on the seafront despite the most recent damage caused by the 2013 winter storms. Here is another take on the Pier with a nostalgic view of its heyday when ‘dance’ was one of the main forms of entertainment. The Pier was the place to go. The Pavilion held its show. Who performed with great aplomb. To indulge in a little treat. But china and napkins neat. And the excitement of a ball. Was a veritable Glenn Miller shrine. To get them ‘In the mood’. They did not think it rude. They gilded around to the big band sound. They were up for it all, those girls! They gave them their very best shot. And to dance on Teignmouth Pier. The young were indulging in skinny-dipping. But went home through the town all dripping. In space ships they would soar. The earth would have no bars. ‘On the Stairway to the Stars’. And ‘Come Dancing’ was just for the few. It was discos for me and you. Of the ballroom once so dear. They had danced to a Glenn Miller Band. This entry was posted in Teignmouth Imagery and tagged barbara hine, Glenn Miller, Moonlight Serenade, poetry in Teignmouth, String of Pearls, Teignmouth pier, Teignmouth poetry on November 22, 2015 by pherecrates1. 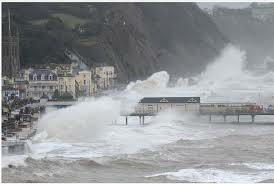 Since the early days of bathing machines on the beach Teignmouth has always been a sea-side resort. A couple of months ago someone came into the Heritage Centre in Teignmouth bringing a small book of poems called “Gillyflowers”. 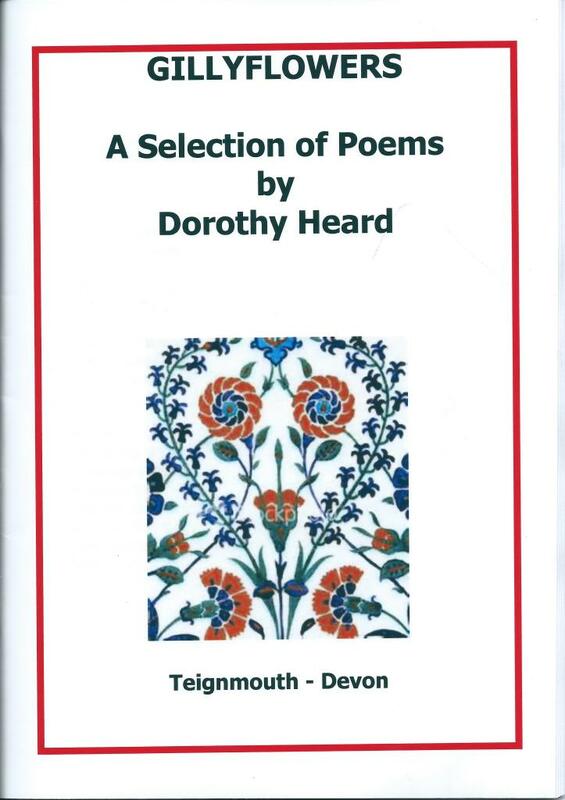 It was a selection of poems by her mother, Dorothy Heard, who had moved to Teignmouth many years before. The collection has been compiled and published privately by Dorothy’s brother. Dorothy was born in a small Yorkshire village and had to leave school before matriculation. She went to work on the fields in a local farm before moving indoors to help the farmer’s wife. At school she loved English and enjoyed reading poetry; one of her favourite poems was Meg Merrilies by Keats. In the seventies Dorothy found herself working at the Minadab, on the Dawlish Road, which at that time was a restaurant. Later she ran her own Bed & Breakfast. Dorothy, aged 97, is still living in Teignmouth. The poems in Gillyflowers reflect her thoughts and memories from Yorkshire and Teignmouth. This first one is about Teignmouth as a holiday seaside resort 40 years ago. chance one’s luck at Newton races. moonlight bathing in the ocean. promising to meet next year. screaming through the autumn chill. This entry was posted in Teignmouth Imagery and tagged Dorothy Heard, Gillyflowers, Meg Merrilies, Newton, Tavistock, Widdecombe on November 4, 2015 by pherecrates1.